So if you didn't know I fill in my brows everyday, it's a necessity! In middle school I got my hands on a pair of tweezers and needless to say my mother warned me and guess what I looked surprised for like a year with the little brows I had left. Moral of the story, mother is always right! Anyways since then I've filled them in with any and every eyebrow product! Filling your brows in is a process and part of my daily routine but it takes me a good 10 minutes to do my brows and living in Florida and especially in the summer time brows just don't stay in tact with swimming and pool days they would just wear off. 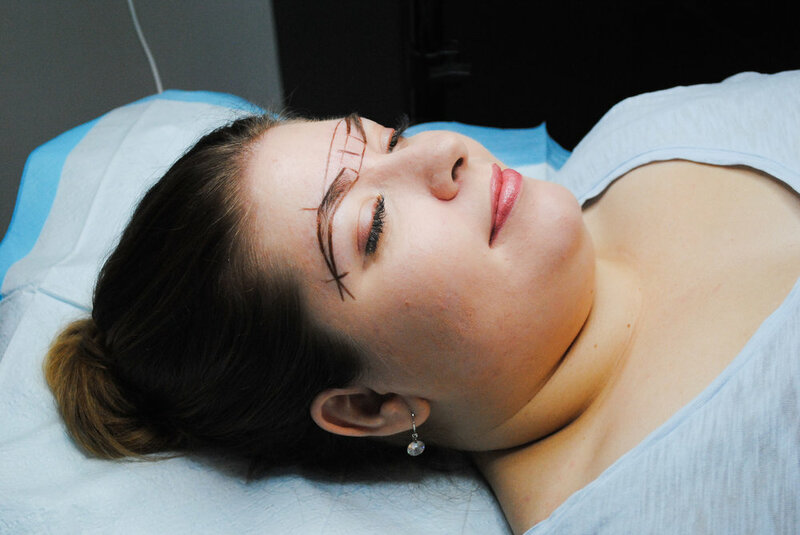 I decided to try microblading and am super happy with my choice! Yes I will probably still use my brow products because it's a habit and I like to be extra but it's nice to know I don't have to! The process takes about an hour and a half give or take and will last you a year to 18 months. Yes it's an investment but super worth it! 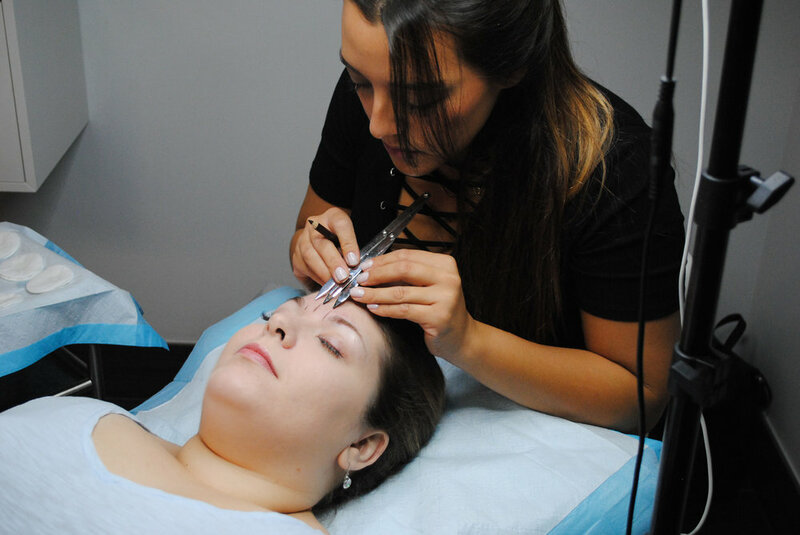 The process entails measurements and creating an outline of the desired shape of your brows, then numbing your brows before starting the microblading process. It's not super painful either and if you're like me and can't handle a ton of pain don't worry, if I can do it so can you! 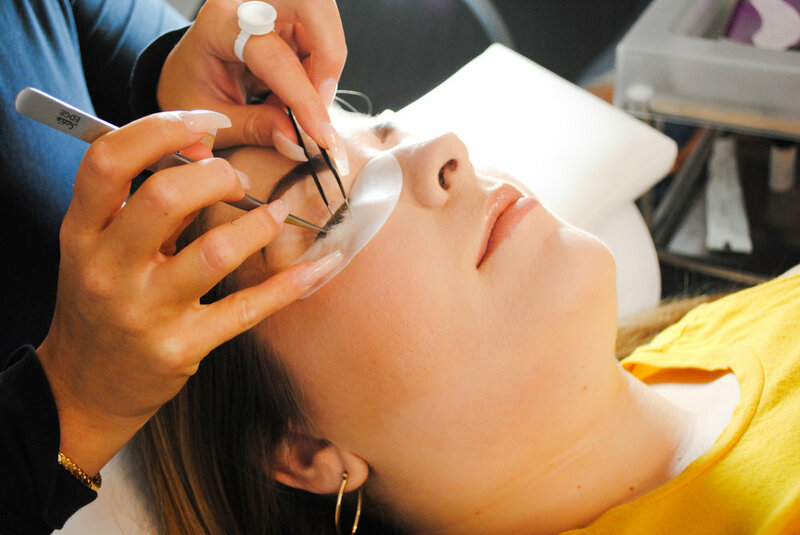 Interested in learning about the process or interested in getting your brows done? I can't believe September is already over and we are heading into October and then we'll blink and it will be the holidays! This part of the year seems to fly by always. September has been a busy month, full of apartment hunting, collaborations, and brunches! We finally found an apartment and we couldn't be more excited to move! I'll keep you all posted with all that fun on my IG stories :) I'm so excited for all the fun things October holds and I'll be sharing all the event on my blog and IG! For now here are all the things I've been loving in the month of September! In September I've been playing with all kinds of fall colors and pulling out my richer tones. 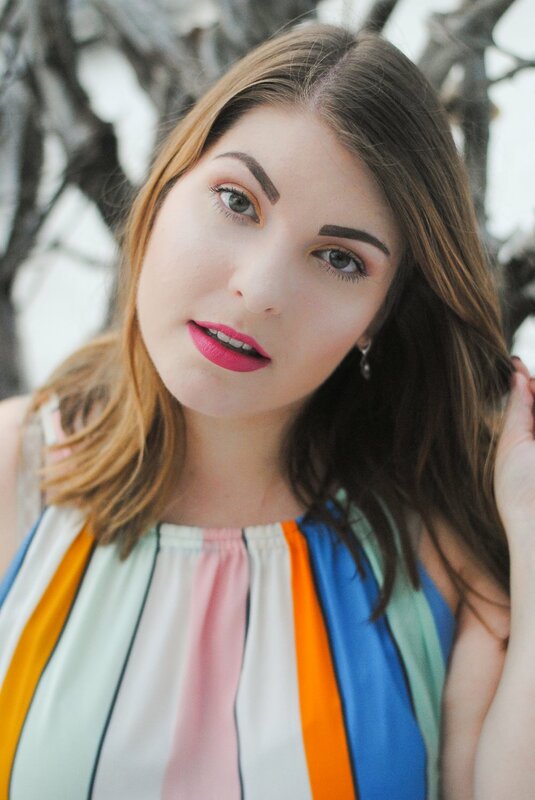 I've been living for the L'oreal Infalliable Pro-Matte Liquid Lipstick, this is probably one of the most comfortable liquid lip I've ever tried! The product lasts all day through eating and drinking without ever re-applying! There's a great range of colors and they are perfect for this season! Another beauty favorite as always is colourpop, I've been obsessed with the "I Think I Love You" palette as well as the "Yes, Please!" palette both are great for everyday and can create tons of looks! One more essential that has been my go to this month is the Wet n Wild Photo Focus Foundation! I love how it looks on my skin and doesn't feel like I'm wearing anything and they have tons of shades! Along with my products from last month these are some of my must have skin care products for this month. Formula 10.0.6 is one of my go to's for masks especially and I love the "Get your Glow On" peel off mask! Next up my favorite cream cleanser ever is from Aveeno, this one is my ride or die I use it every night before I got to bed to help keep my complexion blemish free and skin feeling clean! Finally for skin care I love the Pixi by Petra Glow Tonic To Go Pads these are great for everyday and especially great for travel! I love rich tones for fall, plum, mustard, forest green, they just really scream fall! Old Navy as always is my go to they have tons of great fall looks right now with a variety of beautiful colors and pieces to choose from! Also my favorite earrings all month have been these simply gold oval hoops. I love gold for fall to go with all the warm tones so these are my favorite touch to any fall look! Next up is this stunning LC by Lauren Conrad bag from Kohl's. I again love the mustard color which is still a neutral for fall and the detail on the bag is perfection! Lastly, booties are a given for the fall season and Sonoma at Kohls always has the best ankle boots at killer prices! They go great with every look and are so easy to wear especially here in FL! 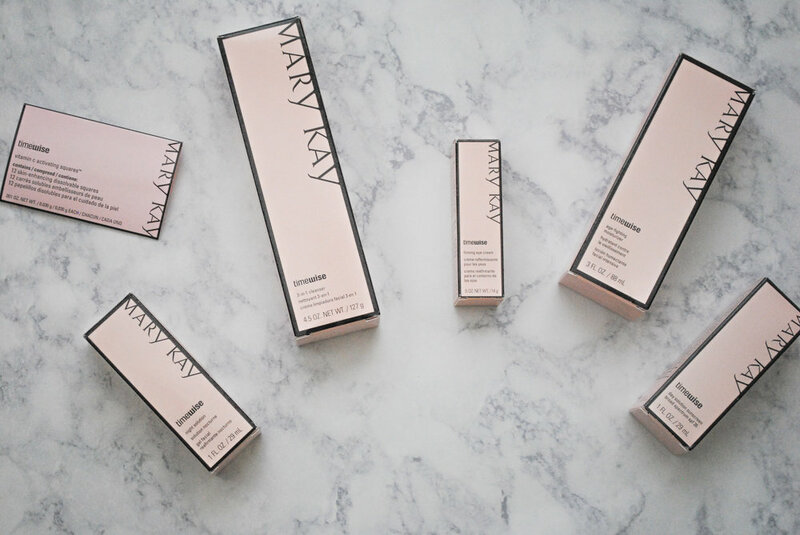 Those are my September favorites! I hope you enjoyed and please let me know your favorite below! Anything I need to test out let me know! Spring is fast approaching which in Florida means summer is right around the corner for us! 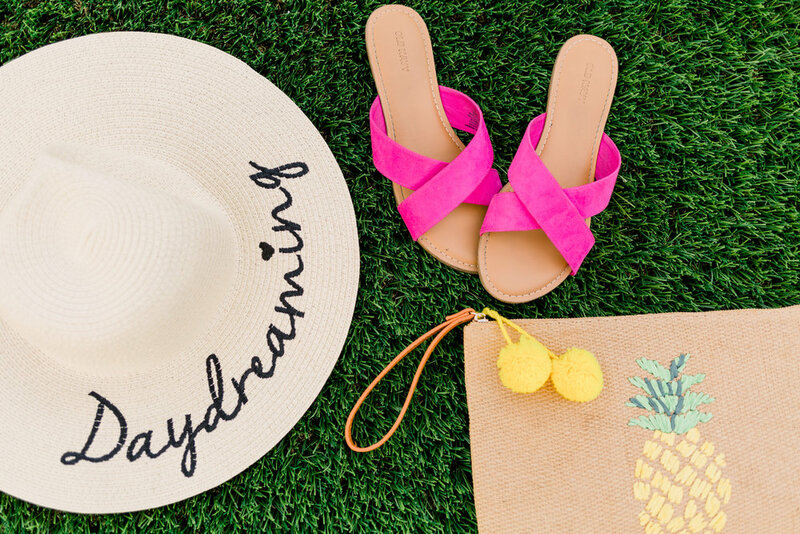 What better accessory to have for those fun beach trips and BBQ's than these perfect headbands from KRZA by Krystle Dawn! She has some beautiful colors available right now along with my favorite neutrals that go literally with everything! These pieces just bring a little bit more of a pzazz to a look without being to over the top! I'm originally from a beach town and I can tell you this is perfect to throw on with your bikini while your lying out then throwing a cute cover up over your suit and hitting a local lunch spot! These headbands will make you look like you have it together without even trying! This months play box was full of perfect things for the new year and your gym bag! I can honestly say I loved every product this month and was just super impressed with everything! Below you can see what I thought of each individual product. What did you all get in your play box this month, let me know in the comments below! What it claims to do: This restorative mask helps care for damaged hair and leaves strands feeling smooth and touchably soft. This hair mask does leave your hair smooth and soft for sure. Super easy to use too and perfect for after workout showers. Just apply the mask before you shower leave in 5-10 minutes and rinse. You will notice your hair is left silky smooth. What it claims to do: This is anti-aging daytime moisturizer that combines resveratrol and hyaluronic acid to visibly lift, firm, and plump skin. I have been using this moisturizer as a face primer and love it! It has everything that I want in a daytime moisturizer. I love that it has SPF in it as well as works as a face lifting cream all well giving me the perfect base for makeup. I have combination skin so I also appreciate that it doesn't leave my skin feeling oily or greasy. What it claims to do: This is an exfoliating gel cleanser in a unique twist-up stick format transforms from a solid gel to a cleansing lather that gently sloughs away impurities. 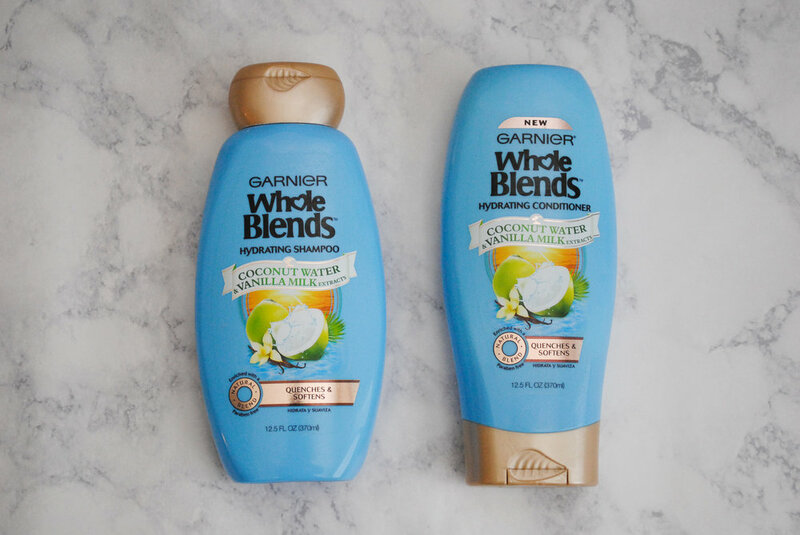 I was super impressed by this product! I'm super picky about what I put on my face, as I have super sensitive skin. This cleanser was super gentle but got the job done and left my face feeling clean. I love that it is perfect to travel with in the twist-up stick format as well! Winner! What it claims to do: This is a sheer lip color with a glossy finish in the bestselling, cult-classic Black Honey shade. I am a sucker for everything CLINIQUE, they are probably one of my favorite brands of all time! Needless to say this product is another home run. It's exactly what it claims, a perfect combination of lipstick and gloss. It feels amazing on the lips, super moisturizing, and just enough pigment. What it claims to do: This is loose setting powder that locks down makeup and keeps it smudge and transfer resistant for up to 16 hours. I'm all for setting powders with combination oily skin, they are a god send for me! My makeup lasts forever with this powder and leaves my makeup looking flawless! What it claims to do: Confident and exuberant, this scent mixes florals with vanilla and amber in a unique wipe format for on the go application. I am probably the most picky girl when it comes to fragrance as you all know. However, this scent it so beautiful and a perfect harmony of light and romantic! The wipe format is also perfect for on the go whether after the gym or traveling! Glo Minerals New Year's Eve Look! Hope you all had an amazing holiday! I just got back from the freezing cold of Michigan and I can't tell you how happy I was to come home to the Sunshine State! Anyways, New Year's Eve is right around the corner and I teamed up with Glo Minerals to bring you all a great New Year's Eve makeup look! I used all the products pictured in the first image below to create the look. For a bit of extra drama I popped on some falsies since we are talking about New Year's here! I will link the products below for you guys! Glo Mineral's products are great quality for the price as well as cruelty free! I absolutely love the brand! Hope you enjoy and cheers to almost 2017!!!! Happy November everyone! Glo Minerals was kind enough to send me their new Cream Stay Shadow Sticks and Precise Micro Browliner last month, and let me tell you they are not playing games! These shadow sticks last ALL DAY LONG! They don't crease and look amazing even after a full day of running around and being in the FL heat. I am thoroughly impressed with the pigment and sheen of these beautiful shadows! The shadow sticks are great to take from day to night as the shadow is buildable and easily taken to the next level. These are the perfect addition to my makeup bag for the fall and winter months! 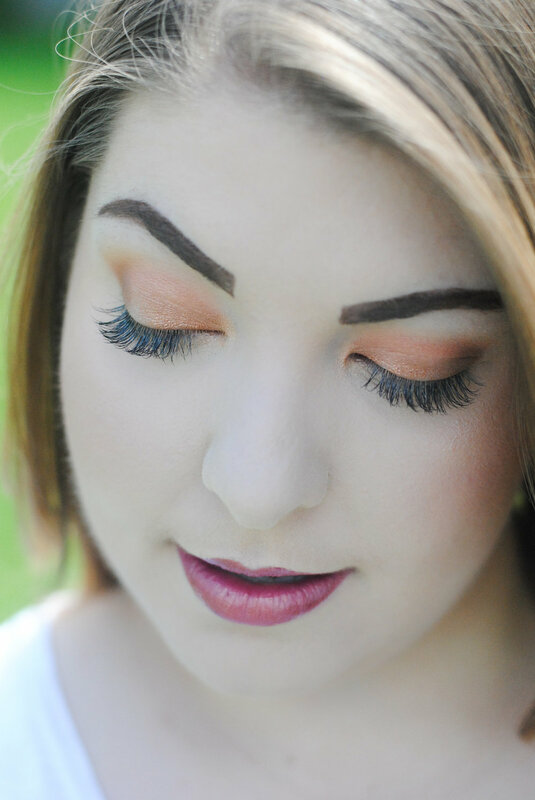 Below is a look I created using the shades Gold Blush and Beam, hope you enjoy!